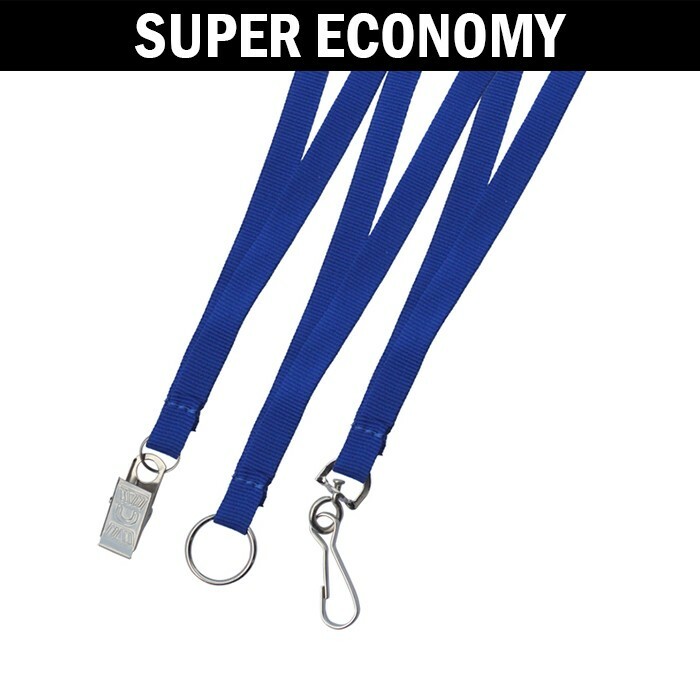 These super economy lanyards are the most popular and inexpensive blank lanyards you can find.You can't afford to buy lanyards anywhere else but Lanyard Store. 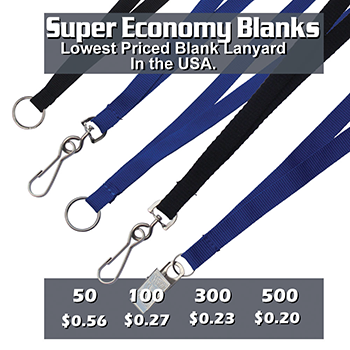 These are 3/8 inch wide, flat woven nylon; not the rope style. 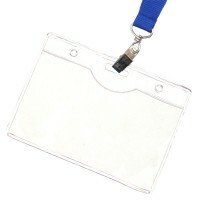 Super budget friendly lanyards. 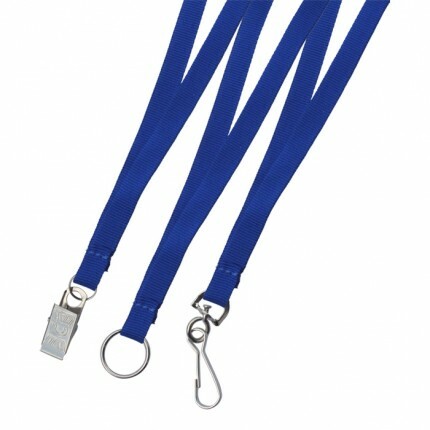 *Lanyards can be shipped immediately if in stock. 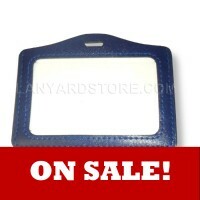 ** If Rush shipping is required, please call us to verify that it can be done! 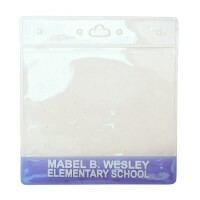 Flat Woven Nylon. 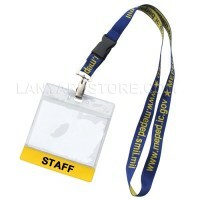 This is not the cheap "shoelace" type lanyard! I order them yesterday and the lanyards already arrive. Excelent service!!! I ordered them and they shipped out the same day.